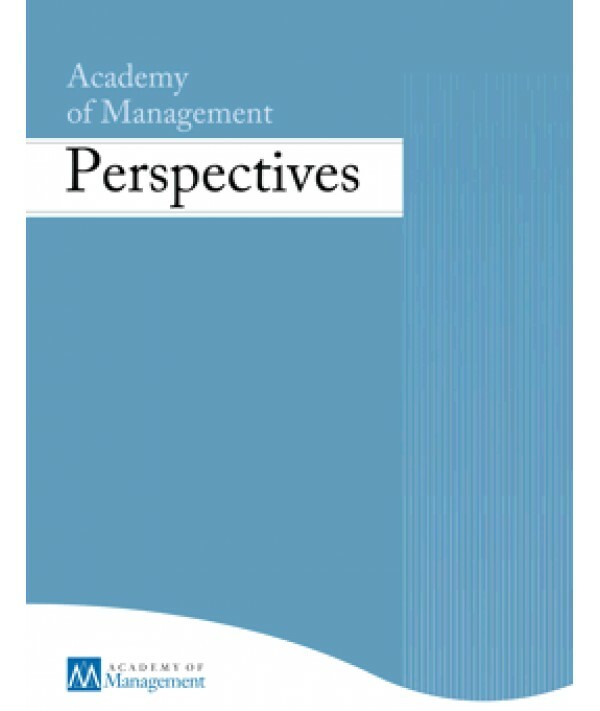 Academy of Management Perspectives,The - Philippine distributor of magazines, books, journals, etc. The Academy of Management Perspectives (AMP) publishes articles and symposia that address important issues concerning management and business. AMP articles and symposia are aimed at the non-specialist academic reader with a secondary audience that include existing and future "thought leaders". A distinctive aspect of AMP articles is a focus on evidence rather than the development of theory. Management research has expanded significantly in recent decades, making it difficult for scholars to follow advances in the multiple, specialized sub-fields. The Academy of Management Perspectives addresses this by publishing important work that synthesizes and translates theoretical and empirical research in management's distinct sub-fields in an authoritative evidential manner that makes these findings accessible for scholars outside that sub-field. Research suitable for publication in AMP includes: (a) reviews of what we already know; (b) integration of diverse theories and empirical findings that inform in a new and interesting way; (c) forward-looking expositions that integrate and articulate existing theory and findings with new and provocative ideas; and (d) integration of theory and research in management with related advances in other non-management sciences and disciplines. Single articles or collections of related articles are welcome.